This is a roundup of all the traffic alerts in the Las Vegas valley for November 2. Alta/Bonneville closed at I-15 for two consecutive weekends. I-15 North to MLK Off-Ramp Closes Sunday for 14 Days in Las Vegas. 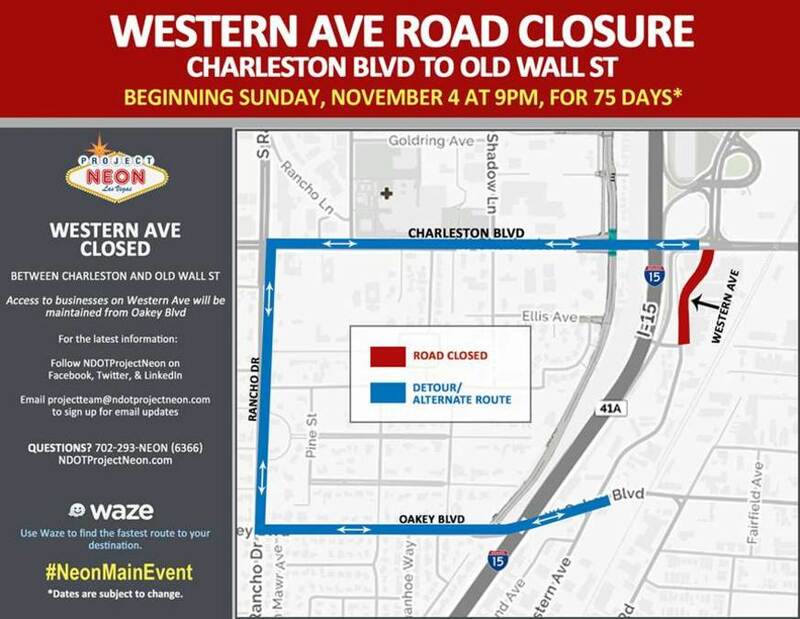 The Nevada Department of Transportation (NDOT) will close Western Avenue between Charleston Boulevard and the old Wall Street for 75 days, beginning at 9 p.m., November 4, in downtown Las Vegas. The temporary closure is needed to reconstruct and improve the roadway, creating two lanes in each direction with turn lanes and a landscaped median.